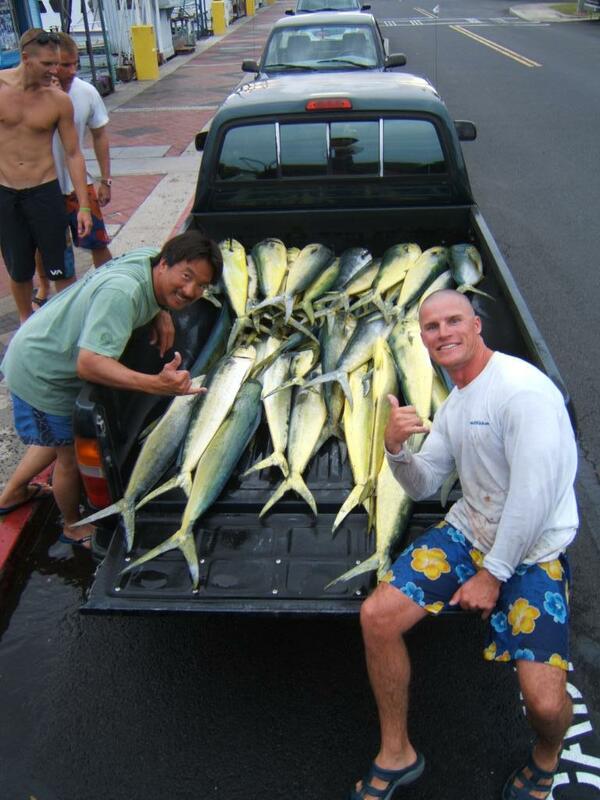 Just Another Day in Paradise – Oahu Sportfishing At It’s Best! 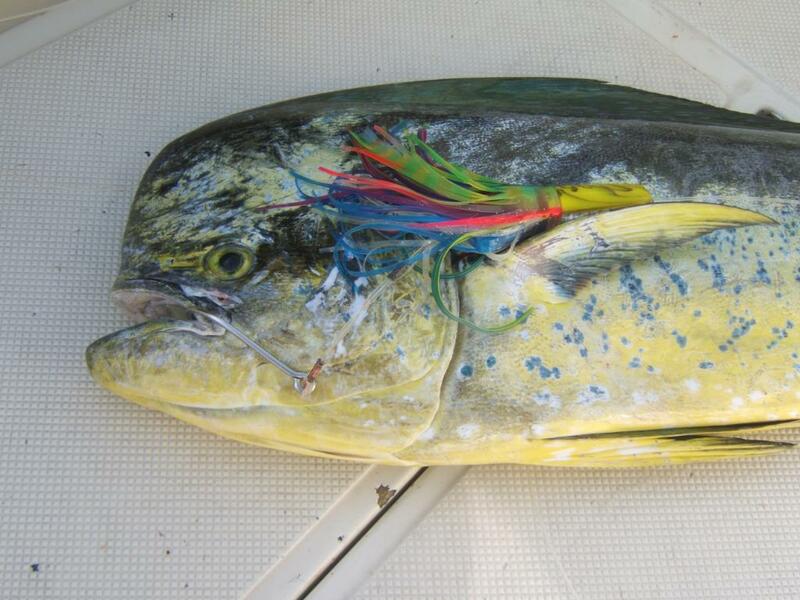 Too many Mahi Mahi's to count! 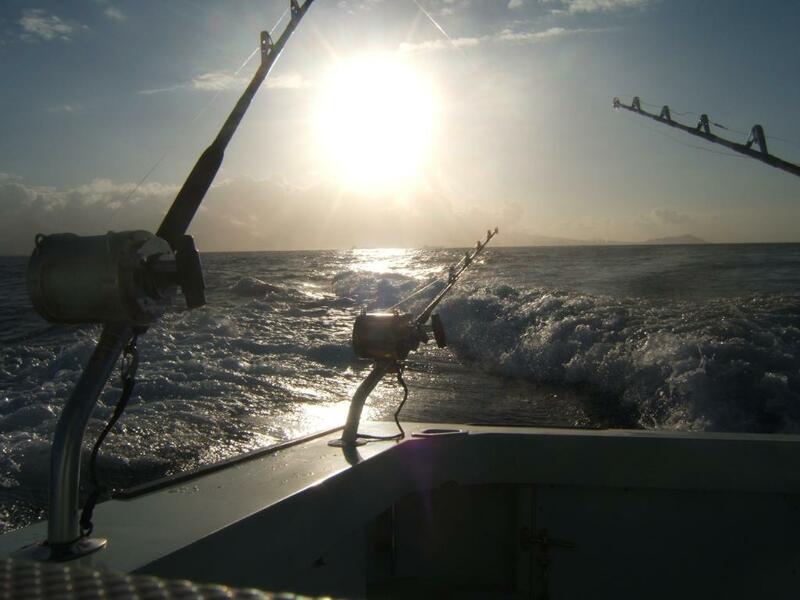 Posted in Deep Sea Fishing, Gallery | Comments Off on Just Another Day in Paradise – Oahu Sportfishing At It’s Best! 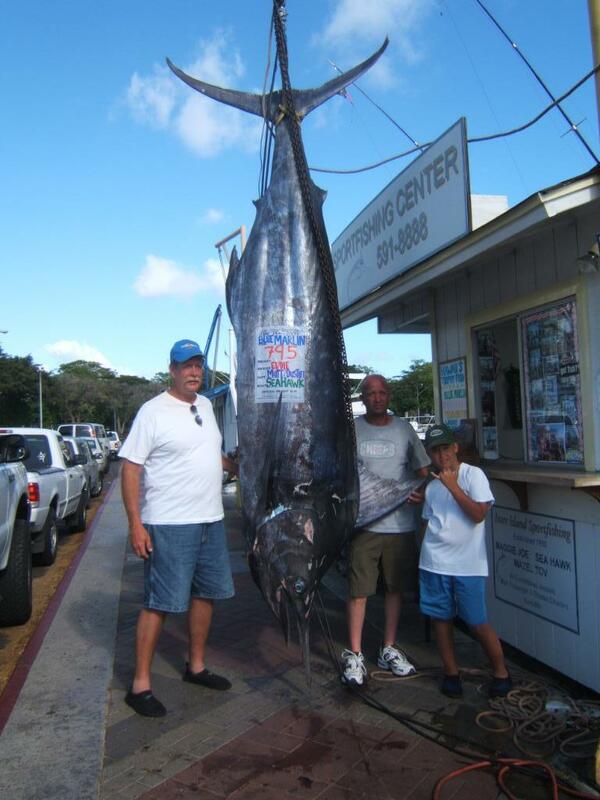 Add another Blue Marlin to the list. 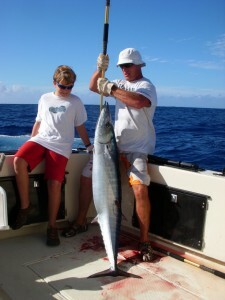 James brought this one in deep sea fishing outside of Honolulu, Oahu on the Sea Hawk with us. Mahalo guys! Birthday boy, Father and Fish! 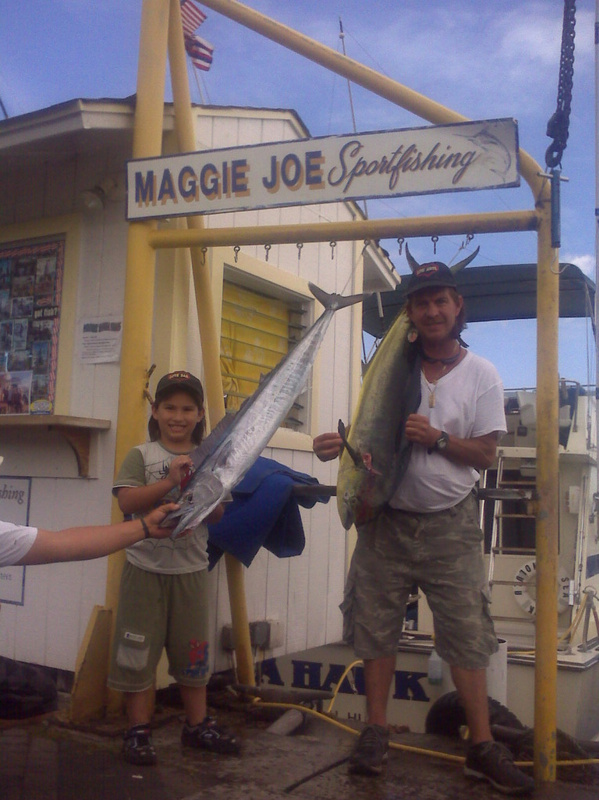 We want to wish Aiste a very happy 7th birthday as he celebrated it with us on Oahu deep sea fishing on the Maggie Joe today. 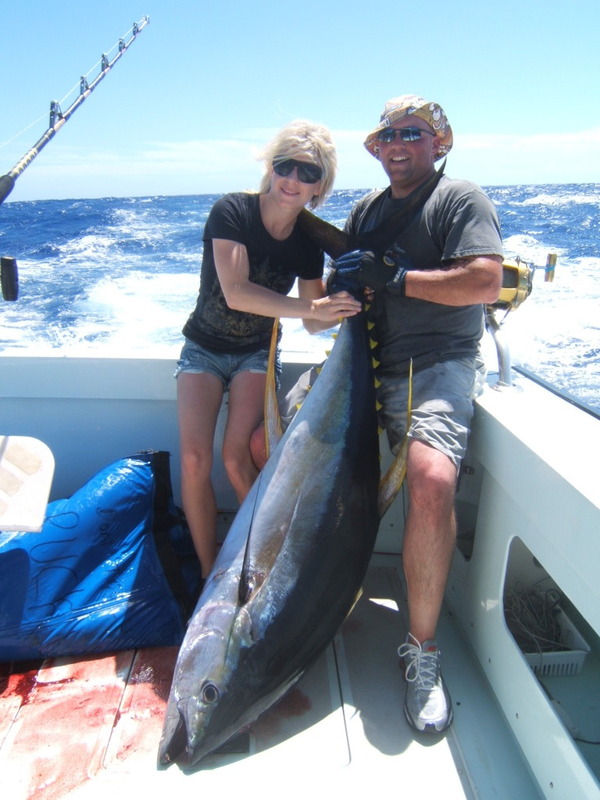 Aiste and his father, MacGuyver caught a nice 21 lb Ono and a Mahi Mahi. We hope to see you next year! Aloha! 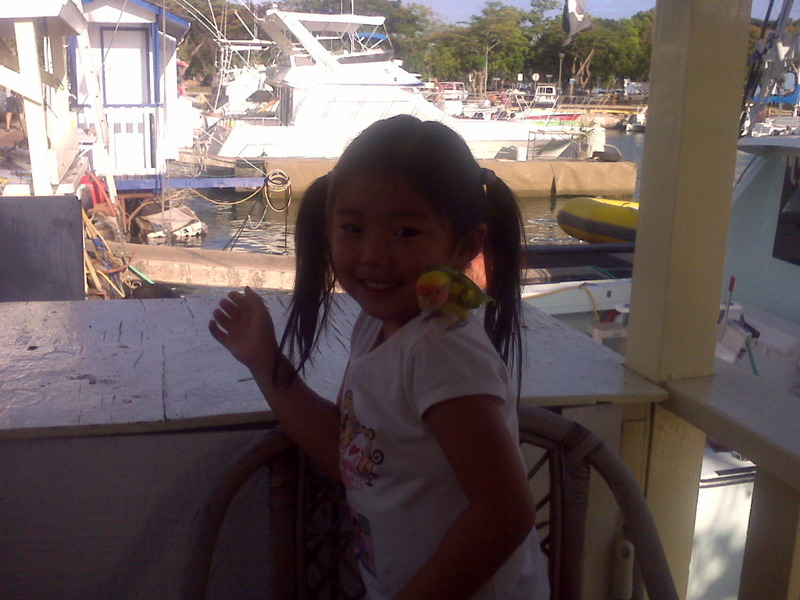 Posted in Deep Sea Fishing, News | Comments Off on Happy Birth Day Aiste! 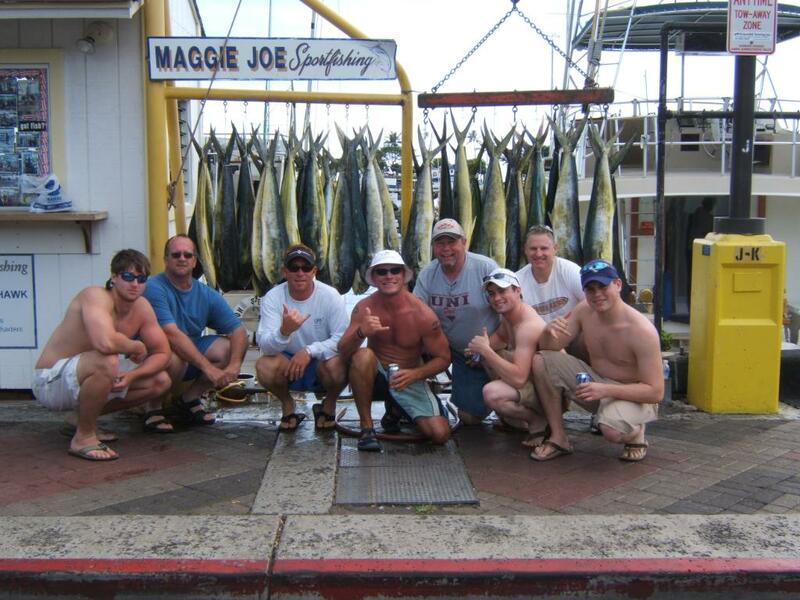 Another Oahu Deep Sea Fishing awesome adventure! 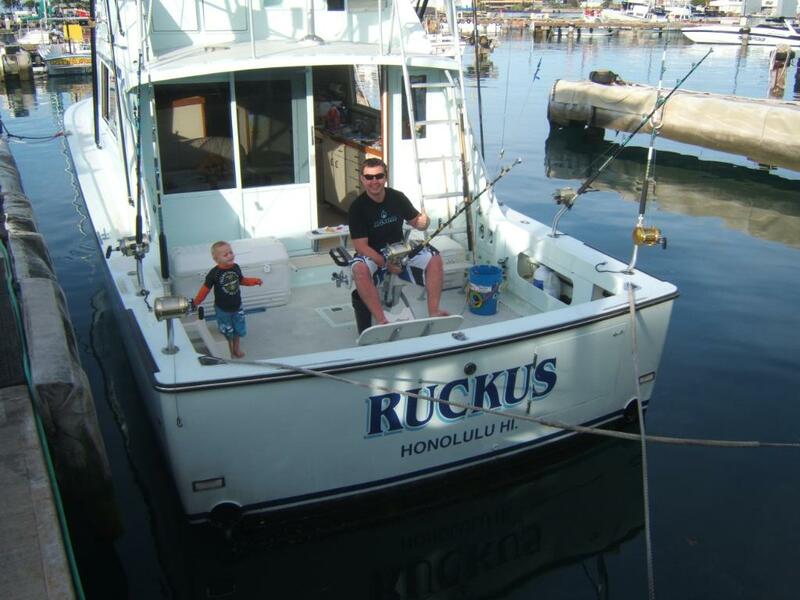 John was able to reel in this 530 lb Blue Marlin while on the Ruckus with us. That is a nice looking fish guys! Mahalo for the fun and we’ll see you next time! Hold on! It's a big one! 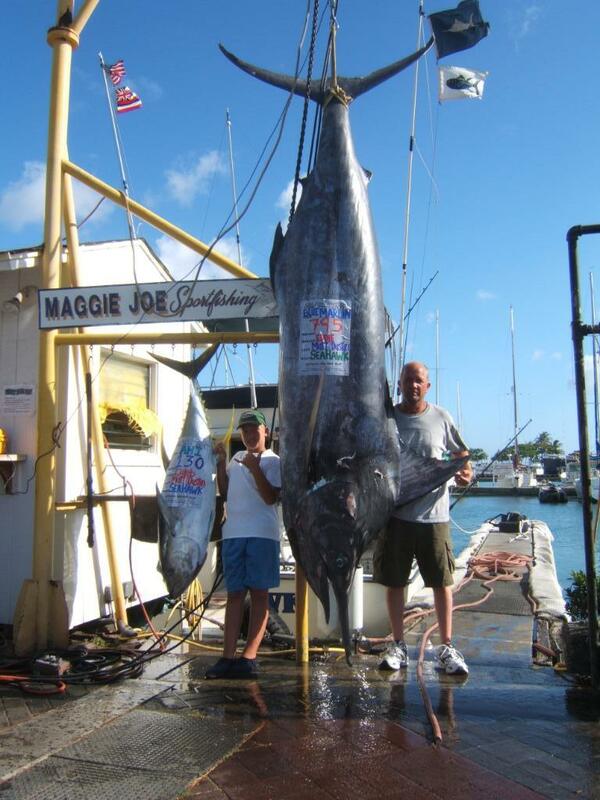 That's a whole lot of fish! Today was a big day for us in every sense of the word! 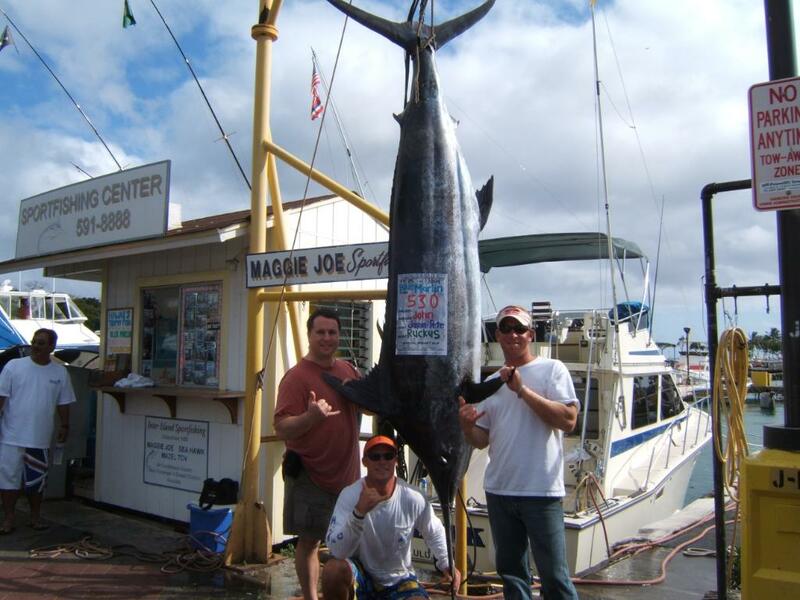 The Oahu deep sea fishing god’s were kind to us today as Caleb reeled in this 130 lb Ahi while Eddie was able to bag this extraordinary 795 lb Blue Marlin. It was an amazing day out on the water and both guys showed some serious grit and determination while while in the fighting chair. You guys are welcome back any time! 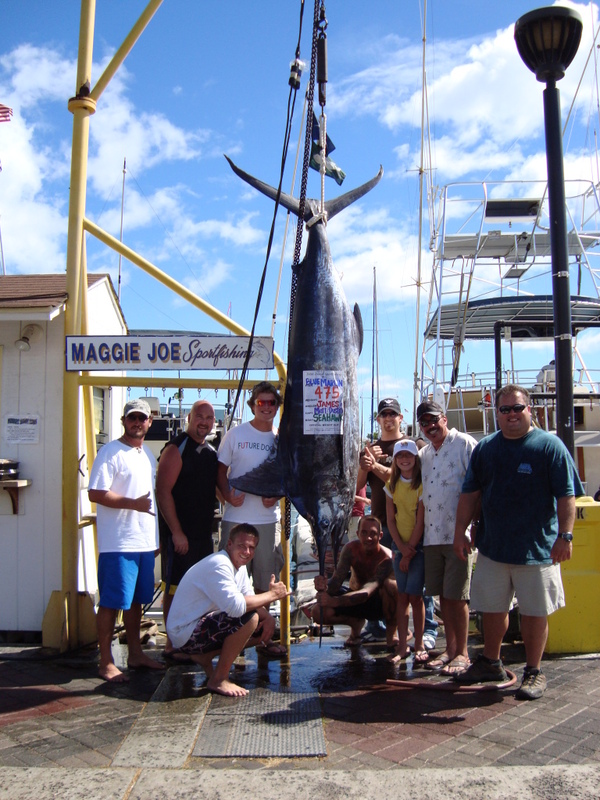 Use your Hawaiian Airlines® Visa® Card to earn 2 miles per dollar spent when you spend a day fishing with Maggie Joe Sportfishing! All you have to do is book your trip through our online booking form and your XtraMiles will be credited to you account following your trip. This offer is only valid for online booking. Please don’t hesitate to contact us if you have any questions. 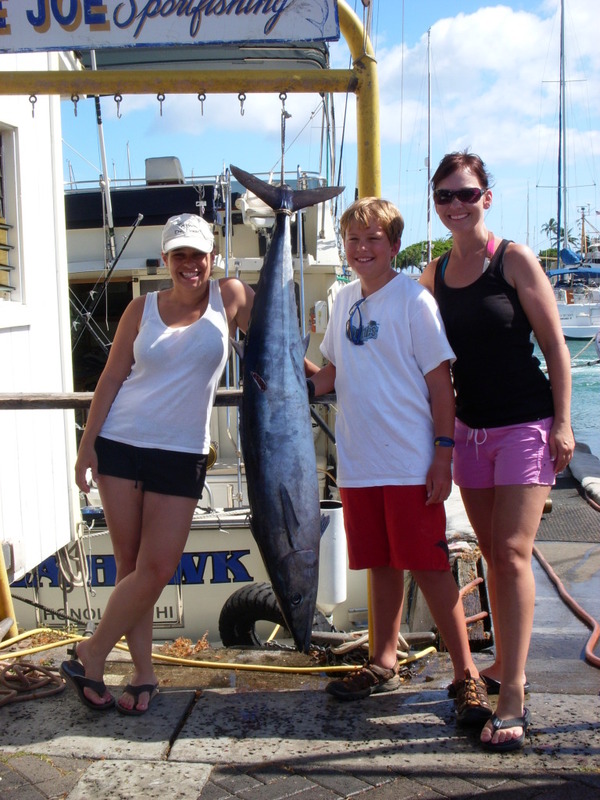 Sara, Traci, and Cameron went out on the Sea Hawk today with captain Matt and deck hand Pete. 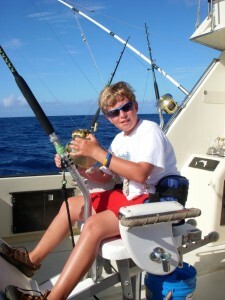 Cameron brought in his Ono like a pro on the Sea Hawk while deep sea fishing the waters outside Honolulu. 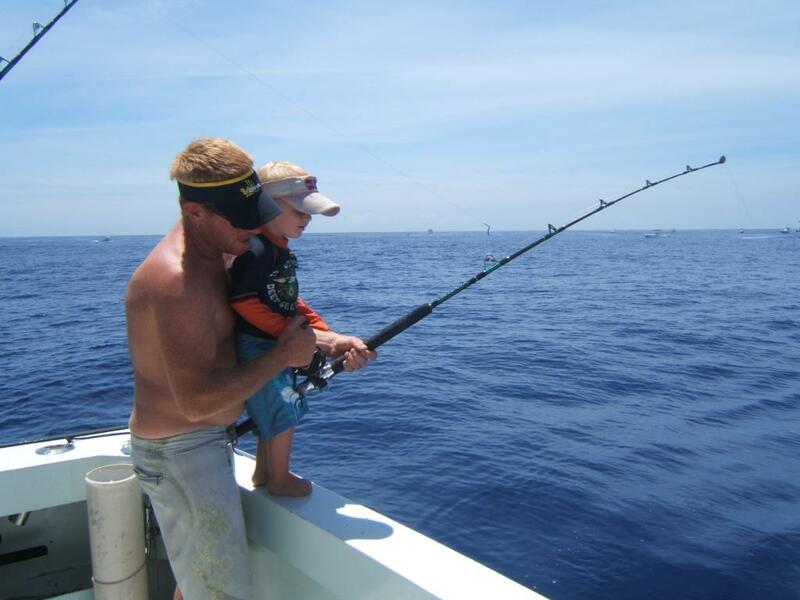 We can’t wait to see you back soon with those excellent angling skills. 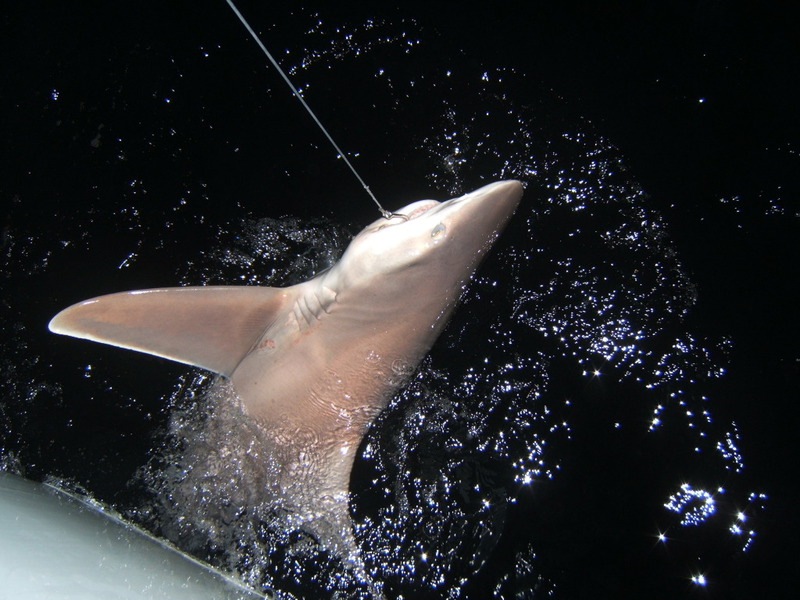 The Ruckus has been hard at work in the evenings hunting sharks and has this wonderful image to show us what they have been up to. 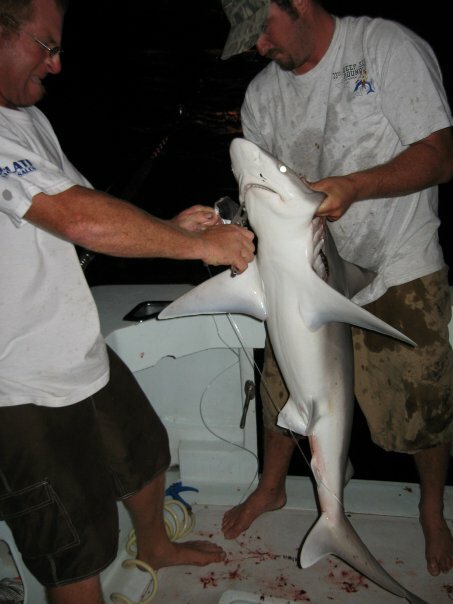 They caught this Galapagos shark, which they later returned to the water. Way to go guys!